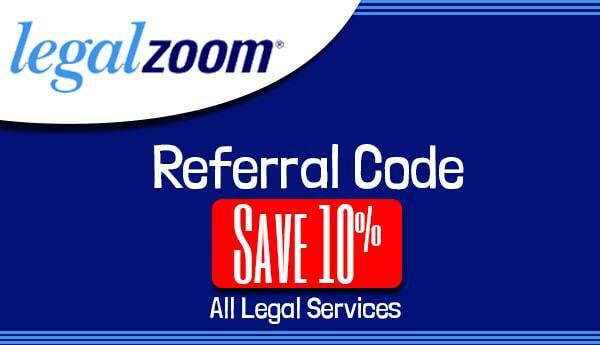 Legalzoom is a great place to get a durable power of attorney that protects your finances if you become disabled, quickly at a reasonable price. You can pick someone that you trust to manage your affairs and make decisions for you if you are sick or incapacitated. Sadly all of us will, at some time, become sick and unable to handle our finances. 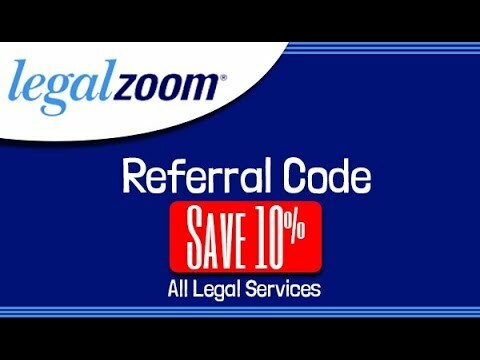 So plan and decide who you want managing your business and make it legal with a professional attorney. Nobody likes to think about not being healthy and feeling great, but it is the reality. I like the fact that you can get a Power of Attorney in under 15 minutes and under $50! I feel a peace of mind knowing that my wishes will be carried out if I get injured or am otherwise incapacitated. My mother used the service to set it up in her 60’s, and it made it so much easier when I needed to pay her bills, list her house for sale and pay for her funeral. At a time when your loved one is ill, one less thing to worry about is a blessing. Power of attorney definition: The legal instrument, Power of Attorney, lets you assign an individual to handle your financial and legal matters if you cannot due to illness or disability. You are the person authorizing the other to act on your behalf is called the principal, grantor, or donor. The person that you choose and is authorized to act is the agent or sometimes referred to as the attorney-in-fact. Once you set up a power of attorney, the person that you name will be legally permitted to take care of business matters for you, including bill paying and handling your investments, if you are cannot do it yourself. The durable power of attorney (DPOA) acts as a general power of attorney. But, a durable power of attorney is active even if you become incapacitated. A particular type of power of attorney, called a durable power of attorney (DPOA) is effective even if you become incapacitated. A general power of attorney imparts a wide range of abilities to a person or organization (called a broker or attorney-in-fact) to act on your behalf. These controls include managing financial and business transactions, purchasing life insurance, settling claims, managing business interests, making gifts, and applying for skilled help. A general power of attorney is a powerful tool if you’ll be out of the country and want someone to take care of certain things, or when you’re physically or mentally incapable of managing your affairs. A general power of attorney is often contained in an estate plan to be certain someone can manage financial matters. Suppose you become mentally incompetent because of illness or accident while you’ve got a power of attorney in effect. Will the document stay valid? To safeguard against any issues, you can sign a durable power of attorney. This is merely a general, special, or healthcare POA which has a durability supply to maintain the current power of attorney in effect. You may also sign a durable power of attorney to prepare for the possibility that you might become mentally incompetent because of illness or injury. Establish the power of attorney that it can’t go into effect until a physician certifies you as mentally incompetent. You may name a particular doctor who you would like to ascertain your competency, or need that two licensed doctors agree on your mental condition. You can specify precisely what forces a broker may exercise by registering a special power of attorney. This can be used when one can’t handle certain affairs because of other obligations or health reasons. Selling real estate (real and private), handling property, collecting debts, and managing business transactions are a few of the common matters specified at a special power of attorney document. A healthcare power of attorney grants your agent authority to make medical decisions for you if you’re unconscious, mentally incompetent, or otherwise not able to make decisions by yourself. While not the same thing for a dwelling will, many countries let you include your taste in being kept on life support. Some states will let you combine parts of the medical care POA and living will go into an advanced healthcare directive.